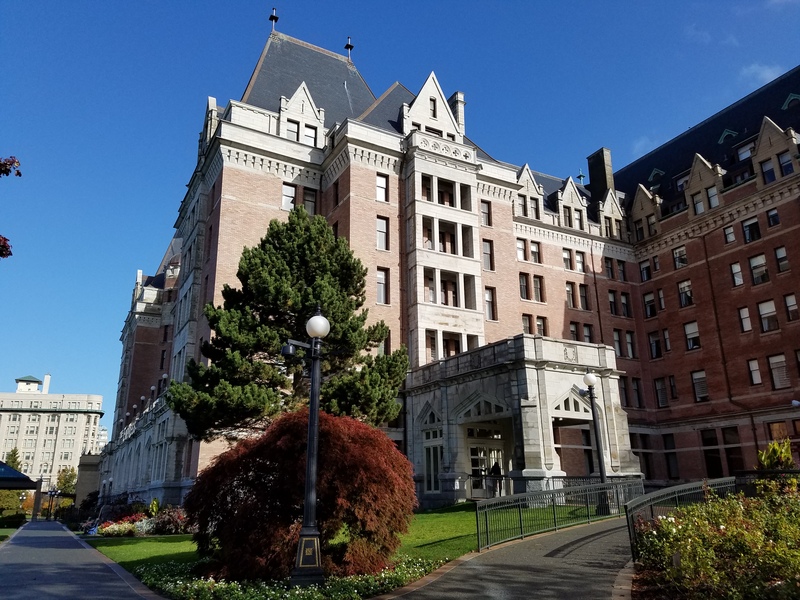 For my birthday, Mr. York took me to Victoria for tea at the Fairmont Empress, which was so elegant and delightful, I wanted to share the experience with you! 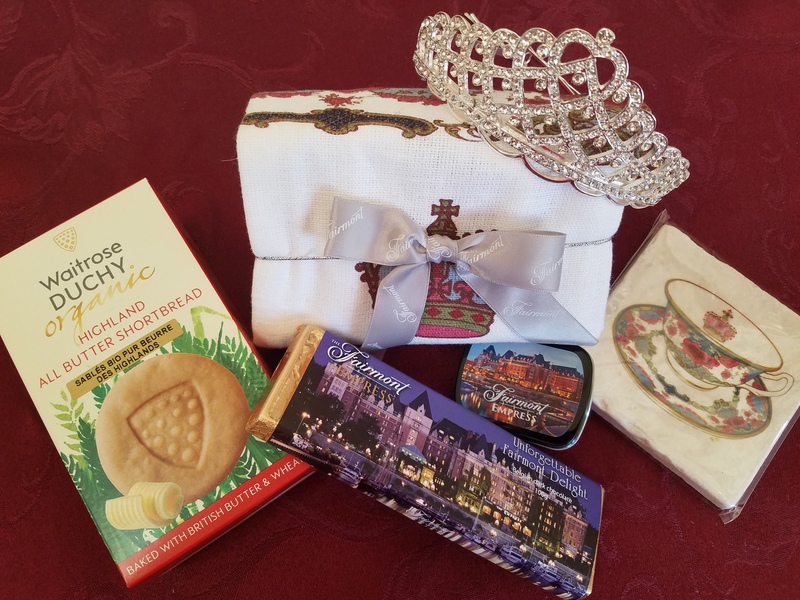 Here are pictures of the Empress and the goodies we were served! A scone with clotted cream! I love pastries period! ! Husband was born in England, his mother was born and raised there. Had tea several times a day. Being born and raised in the South myself drinking ice tea it was different at first but didn’t take long till I looked forward to tea time in the afternoon. I have had High Tea at the Fairmont Royal York in Toronto and I just loved it. I took my cousin there for her 50th Birthday. My fav was the clotted cream and scones. What an amazing trip for your birthday! You lucky girl, you! The kind of Tea that you had has been a dream of mine. Do not know of anyplace around Oakhurst or Fresno, CA that does this. It looked like it was divine from beginning to the end. 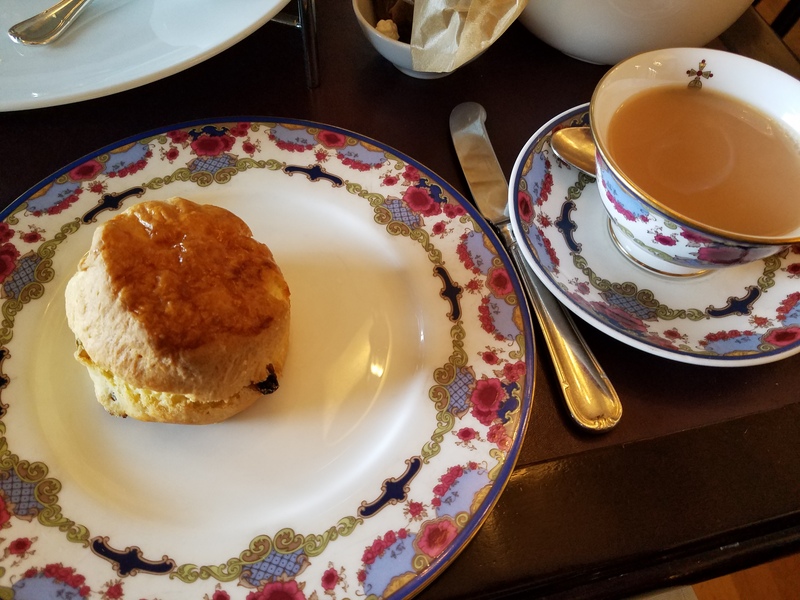 I had tea at Empress in April with my Mom and son. What a wonderful hubby! Glad you had a good time. Thank you for the lovely giveaway! Chocolate. Cake. Pastries… Yeah, just give me sugar!!!! Love the Empress! Thanks for the opportunity. I love Cheese Flan & Tres Leches Cake. Thank you so much for all the chances. I am not a huge fan of chocolate but at times I need a chocolate. I had tea at the Empress once eons ago and LOVED it! This prize would take me back and, as well, remind me of the many high teas I enjoyed during my two times living in London–also long ago! Pick me PLEEEEEZE! Thank you so much for this inspired give-away! My fave treat is cream cheese strudel pastry. Anything with whipped cream lol I love Italian Cream Cake and Lemon Merangue pie. I love lemon pound cake! Chocolate…the go-to sweet when you just need to treat yourself a bit! Love tea, pastries, and friends. Hot cup of Bigelow green peach tea and Chocolate, Chocolate, Chocolate in any form!!! I loved Godiva’s Macaroons dipped in Dark Chocolate! My favorite treat is a slice of Lane cake at Christmas. Cinnamon pie is my favorite treat now! I love Victoria! And High Tea! I love anything chocolate and cheesecake with sour cherry spoon sweet topping (Greek style cheesecake ;-)). I love cheesecake, all kinds! My favorite treat is a banana split! I give them to myself as a reward for something that is hard for me to do. Scones, scones & ALL THE SCONES!! I’ve already read most of your books, and I’m so excited to see that you have what I haven’t read in audio book version. Yay! My favorite treat is nachos. I would love to win this prize. I really want another tiara. Love my tea. Chocolate is my favourite treat.